I did not booked in advance because I doubt the online booking process plus the fact that winter season is off-peak, seat/sleeper slot is not a problem. Even though I know this will be one of the requirements in Ulaanbaatar Airport immigration, I will just tell them that I will be buying my ticket immediately. Transmongolia train is probably the best way to experience something of the communist time, even if it has evolved a bit since then. 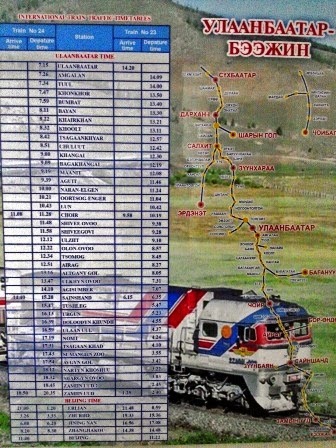 The railway network is poor, consisting mainly in the Irkutsk-Beijing trans-mongolian way with a few extensions. The rolling stock consist of 30–40 years old Soviet cars. Trains are extremely slow. They usually leave on time, and arrive on time or less than 20 min late. 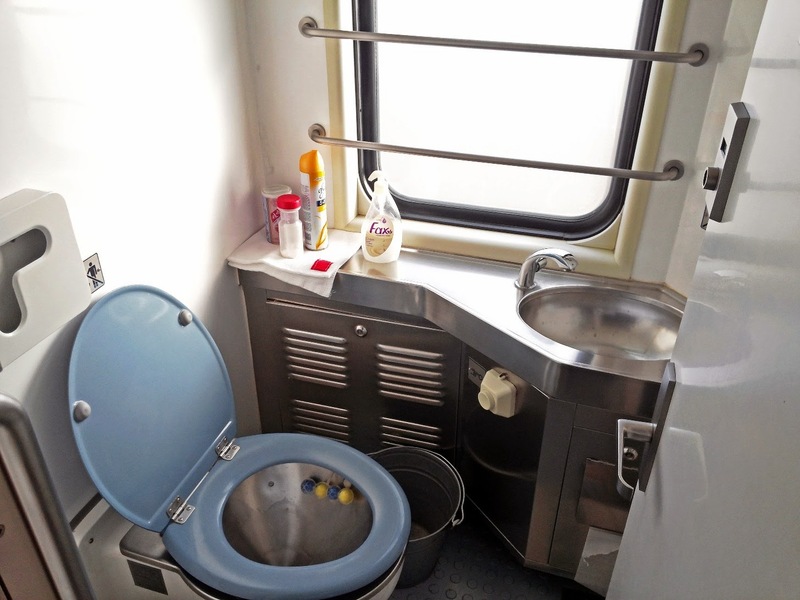 Mongolian trains are cheap, even in comparison with Russian and Chinese trains. You pay an extra fee if you book in advance, no extra charge if bought in train ticket office. 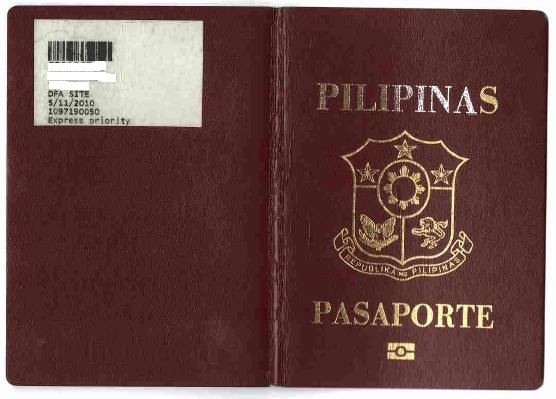 Passport is required to buy a ticket. 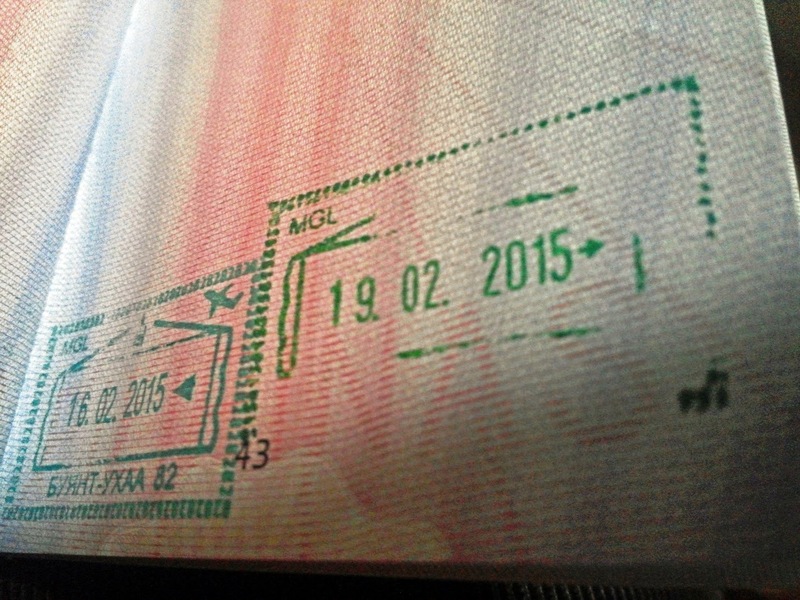 I bought my ticket immediately upon arrival coming from Ulaanbaatar airport. Train ticket office is just infront of Ulaanbaatar train station, office hours of 0900-1700 daily. Departed exactly on time. 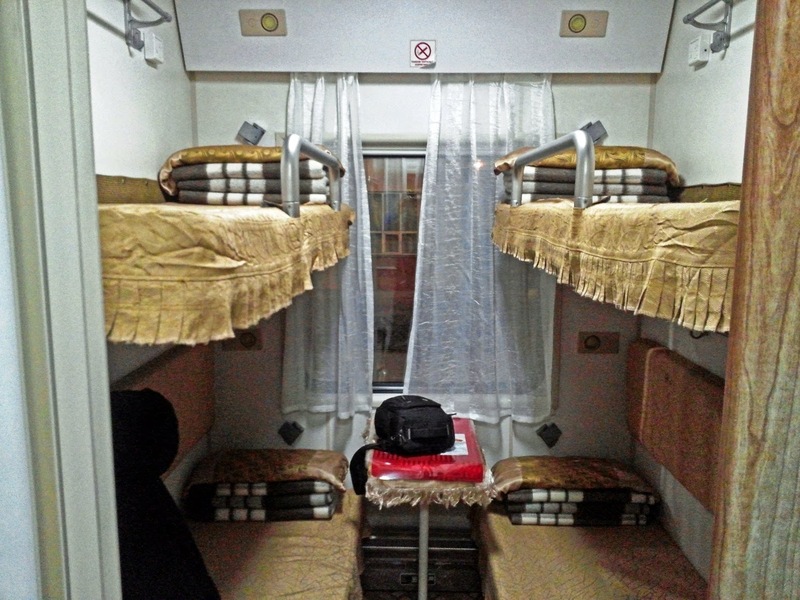 I availed the 2nd class sleeper type, 4 pax per cabin, room temp around 28'C. With outlet rounded plug, television, reading light, blanket, pillow, bedsheets, coffee and tea. 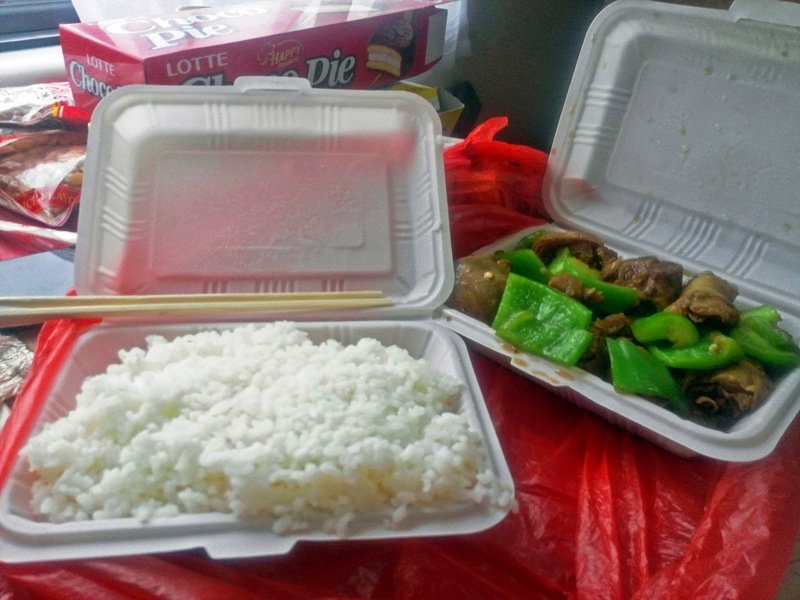 No food selling, pack snacks is a must. 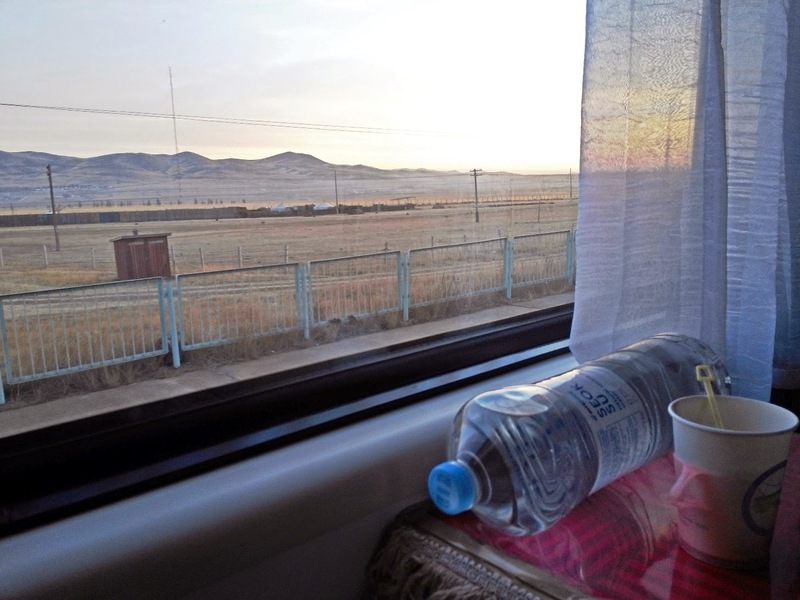 We arrived in the Mongolia border at 1850H per schedule. 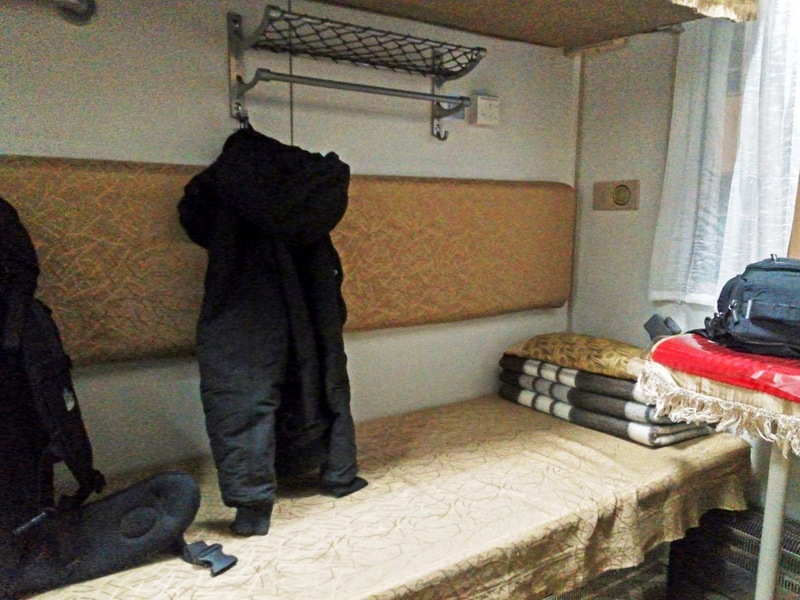 Roaming Immigration Officer requested to hand-over passport, I just stayed inside the train cabin. Around 2030H, we left the border.